Some countries are often associated with a single word: Think Italy and pizza or Switzerland and watches. When it comes to the small Baltic country known as Latvia, that word is choirs. Latvia shines in its vast choral tradition, with its outstanding choirs and highly renowned choral conductors. Their composers write some of the best choral music. They always excel at choir "olympics". Latvians worldwide revel in the vast choral repertoire, both classic and contemporary, and aspire to a gleaming paragon in choral music. 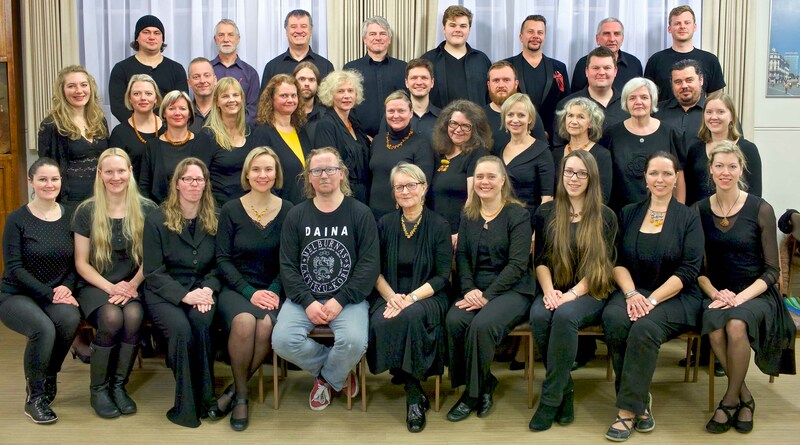 Melbourne Latvian Choir "Daina" strives to emulate the Latvian choral tradition. Over three decades "Daina" has enjoyed performances in prestige venues in Australia's cultural capital cities. Some original choristers are still current members, and many young singers have recently joined their ranks. "Daina" has the unique ability to reimagine and reinvent itself, and strives for choral singing at its finest, inspired and motivated by Latvia's greatest choral composers and conductors.